A complete line of air-tight, open-head plastic pails are available from 1 gallon through 6 gallon. Molded from high density polyethylene (HDPE), these pails are suitable for many chemicals, food and dry products. Plain covers or covers with the rieke pour spout are available. Pails nest inside each other without the cover. With the cover on they are stackable. 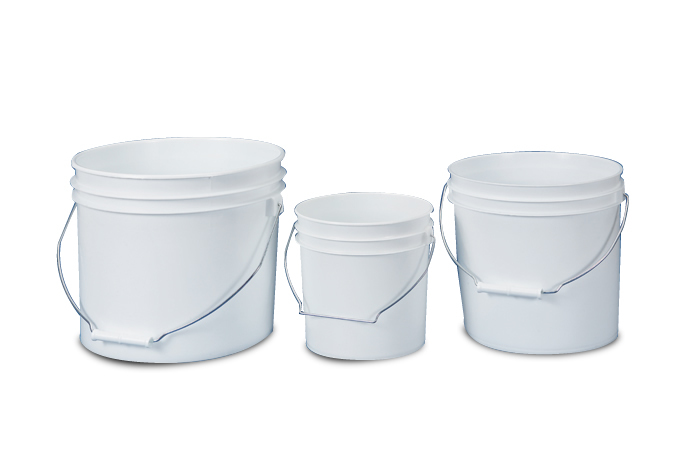 The straight-sided, non tapered pail (#1555) is ideal for adhesives or other products.